It’s not often that a new display interface is introduced, but in recent times it seems like there’s been more activity than we’re used to. With HDMI’s move into the mainstream in 2005, talk of the new DisplayPort interface has been met with a degree of negativity from consumers – many who question the need for yet another display interface. 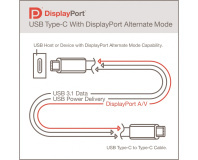 I think a lot of that comes from people not understanding exactly what DisplayPort is all about, other than a reason to get more money out of consumers. DVI is just fine, right? And HDMI is DVI’s replacement, isn’t it? These are a couple of the common questions I’ve seen crop up since the DisplayPort 1.1 specification was approved by VESA back in April this year. Why do we need a new display interface? You’re right, it does handle high resolutions at 60Hz with 24bpp colour and it manages to do this pretty well. However, the thing is that dual-link DVI was a quick solution to DVI's limited abilities, which allowed resolutions on digital displays to continue increasing... at least, up until a point where they cannot increase anymore. 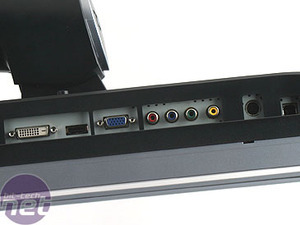 The DVI specification itself hasn’t evolved a great deal since its inception and according to Dell’s Bruce Montag, it cannot be updated to support higher resolutions, colour depths, new connector types or new features. In other words, we're maxed out. A single-link DVI connection has enough bandwidth to display resolutions up to and including 1920x1200 at 60Hz (a 24" monitor, typically), which is fine for most people. 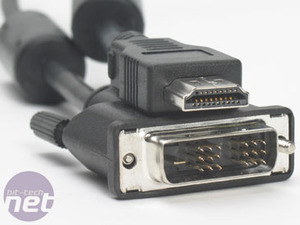 However, if you’re looking towards higher resolutions you either need to go back to an analogue connection or look towards dual-link DVI. 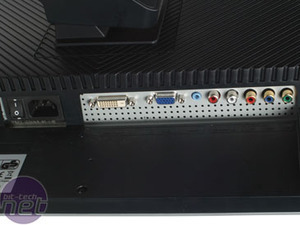 A dual-link DVI connection increases the maximum resolution at 60Hz to 2560x1600 but, given that 2560x1600 has almost twice as many pixels as 1920x1200, you wouldn’t be wrong to assume that 2560x1600 is the highest resolution a dual-link DVI connection can manage at 60Hz. If you remember back to when we interviewed Nvidia’s Roy Taylor in June, he told us that the next step above 2560x1600 is 3840x2400 and, with dual-link DVI, you’re limited to just 33Hz at this resolution. DisplayPort is not going to solve that problem straight away over a single connector, but we’d imagine that there will be a dual-link equivalent that will be able to drive the 9.2 megapixel behemoths expected in the next year or so. Obviously, the other major player in the desktop market is still VGA, which also has its limitations. First and foremost, it’s an analogue connection and it has limited capabilities at the higher end of the resolution and colour depth scale. We mustn’t forget that it also cannot support content protection, either - which is good or bad, depending on which way you look at it. LVDS (Low Voltage Differential Signalling), the display interface used inside notebook computers, also has its limitations due to the nature of the technology, where the receiver detects the voltage difference between data high and data low lines rather than data and ground in order to derive its signal. 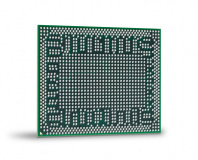 LVDS is clock-limited too, meaning that it cannot scale to higher resolutions and colour depths without using more pins and therefore a wider cable. Add to that an ever increasing number of radios (Bluetooth, WiFi, HSDPA and WiMAX to name a few) inside notebooks which run the risk of interference if there are too many antennas in one place. To fix this, aerials are being moved behind the notebook’s LCD panel, meaning an increasing number of wires competing for cable access through the LCD panel’s hinge. That makes it harder to widen the cable for LVDS. Many people have knocked DisplayPort as a license-free knock-off of HDMI, but HDMI wasn’t ever designed with PCs in mind. HDMI is a great interconnect for consumer electronics devices – especially HDTVs – and HDMI 1.3 does have enough bandwidth to support up to 2560x1600 at 60Hz with 24bpp colour while carrying uncompressed audio at the same time. At lower resolutions, the interface also supports up to 48-bit colour, although in my opinion you’d be hard pushed to say that this would look twice as good as the same image at only 24-bit colour. Essentially, HDMI is dual-link DVI for consumer electronics - it suffers the same overall limitations. Although it’s easy to nitpick at the existing display interfaces, the real problem is that there are so many different specifications supported on the PC – why not just create a single standard that all PCs use, regardless of whether it’s an external connector on a graphics card or an internal connection in a notebook? That was the vision when work started on the DisplayPort specifications back in 2006. 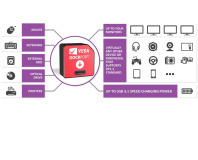 There’s a lot of industry support behind the initiative, too – not only does it have the backing and approval of the Video Electronics Standards Association (VESA), but also companies like AMD, Dell, Intel, HP, Nvidia and Samsung Electronics have all had a hand in contributing to the open DisplayPort standard. So, without further ado, let’s dive into the specifications. Unlikely to appear in Skylake, though. Merges DisplayPort and USB 3.1.